Import cars are beautiful, high-precision machines that can easily make anyone’s mouth water, even if they don’t really know what they’re looking at. For example, if they don’t understand the V6 engine or the fuel injection system, they’ll still catch onto the leather seating and fine stitching on all of the interior accents. However, the thing that makes owning an import luxury automobile is knowing what’s under the hood and what it’s like to sit behind that wheel. Ultimately, your pride and joy is gonna have an issue and it’s going to require import auto repair. Turn to the expertise of Kudos Import Luxury where we can diagnose and fix your Mini Cooper with ease. If you feel like your Mini Cooper might require some auto maintenance there are a few tell-tale signs that lead to some common issues that the Mini often experiences over time. The Mini Cooper is sometimes prone to exhibiting clutch failure early on, especially in the 1st and 2nd gens. You might see this failure on both five and six-speed models and if it’s going to occur, it’ll probably happen before you even hit 20,000 miles. In general, this is caused by hard driving that’s probably encouraged by that speedy little sport button that will help you take those corners like a dream. However, sometimes you can drive your Mini rather gently and still see this failure, so don’t try to stop yourself from having fun in your new car. Unfortunately, the automatic transmission on this little speed demon doesn’t hold up really well. The 1st gen experienced the worst problems and was even subject to a class-action lawsuit against BMW that eventually forced them to cover the transmission under an eight-year long warranty. If you purchased yours used or own a 1st gen from the get-go the warranty is no longer valid. Generally speaking, the cost to replace that transmission is higher than the actual value of the vehicle. For this reason, Kudos Luxury Import would advise you against purchasing a 1st gen as it probably won’t be the most reliable choice. There are plenty of other Mini Coopers that won’t be lemons when you drive it away from the previous owner. In the Mini Cooper S and 2nd gen, the transmission is a little better but you might find some hard shift issues with it. This is generally attributed to the construction of the valve body. If this issue is caught early enough it’s an easy enough fix, as well only have to replace the valve body. But, if you don’t catch the issue early on, you’ll probably have to rebuild the transmission. 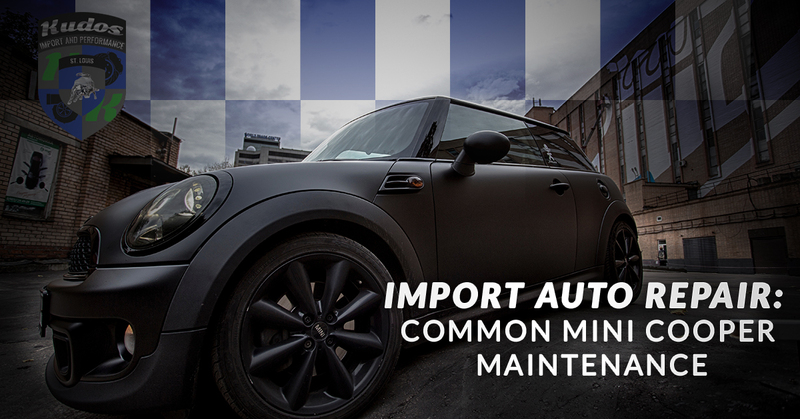 It seems that most of these issues can be avoided by ignoring Mini’s recommended maintenance schedule and putting your import auto maintenance appointments closer together to keep the machine performing in top shape. The truth is that transmission fluid is cheaper than rebuilding your entire transmission and there’s nothing wrong with being safe rather than sorry. We recommend changing the fluid around once per year so that you won’t ever have to should that transmission replacement fee. However, there probably isn’t any maintenance available that will keep these from failing 100 percent as BMW was a little too quick to get these off the line and it’s noticeable. If you’re looking to not have to replace the transmission, look to the six-speed manual in the Mini, it’s much more reliable. There’s no reason you should have to retire a perfect good import auto. Keep up the proper maintenance schedule and we’ll be able to navigate all of the problems your new car might have. We promise we won’t take the fun out of owning an imported auto. Contact us to schedule maintenance or import auto repairs for your Mini Cooper. We’re eager to find a repair and check-up schedule that will keep your machine at it’s very best.